Well pumps are used to deliver water from an underground water source to your home, shallow or convertible jet pumps are not submersible and are usually placed outside the well in a well housing. Deep well submersible pumps are submerged. 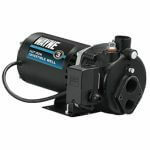 Shallow Well Jet Pumps can pump water from 0’ to 25’ deep. Convertible Well Jet Pumps pump water from 0’ to 90’ deep. 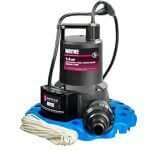 A Convertible Well Jet Pump can operate between 0’ to 25’ with a shallow jet well nozzle or between 25’ to 90’ deep with an ejector assembly. Deep Well Submersible Pumps attach to the bottom of the drop pipe and can operate in wells from 20’ up to 300’ deep. What is The Diameter of Your Well Casing? The diameter of your well casing determines what type of well pump you need. If you do not have a well casing, you have a shallow well. Some well casings are 2” and require special accessories with a convertible jet well pump. 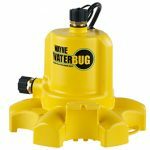 If your well casing is 4” or more in diameter, you can use either a jet well pump or a deep well submersible pump, depending on the depth of your well. If you’re replacing a well pump and your water needs haven’t changed, select a pump with the same horsepower and voltage. You may need more horsepower if you’ve added a household member or a major appliance since installing your current pump. Larger pumps may also require larger pressure tanks to prevent rapid cycling. To ensure your well pump is properly installed, please follow the complete installation instructions included with your new well pump or available online. Be sure the water source and piping are clear of sand and other debris that could potentially clog the pump. 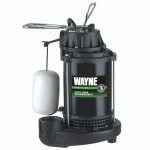 To prolong the life of your well pump, protect the pump from freezing and never run the pump dry. 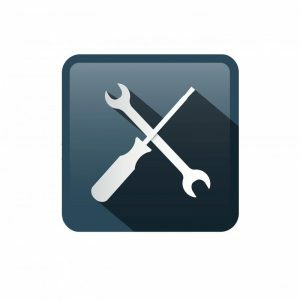 Ensure you have these tools on hand before you install your well pump: Screwdriver, pipe wrench, adjustable wrench, hacksaw, wire cutters, wire strippers, and pipe clamps. 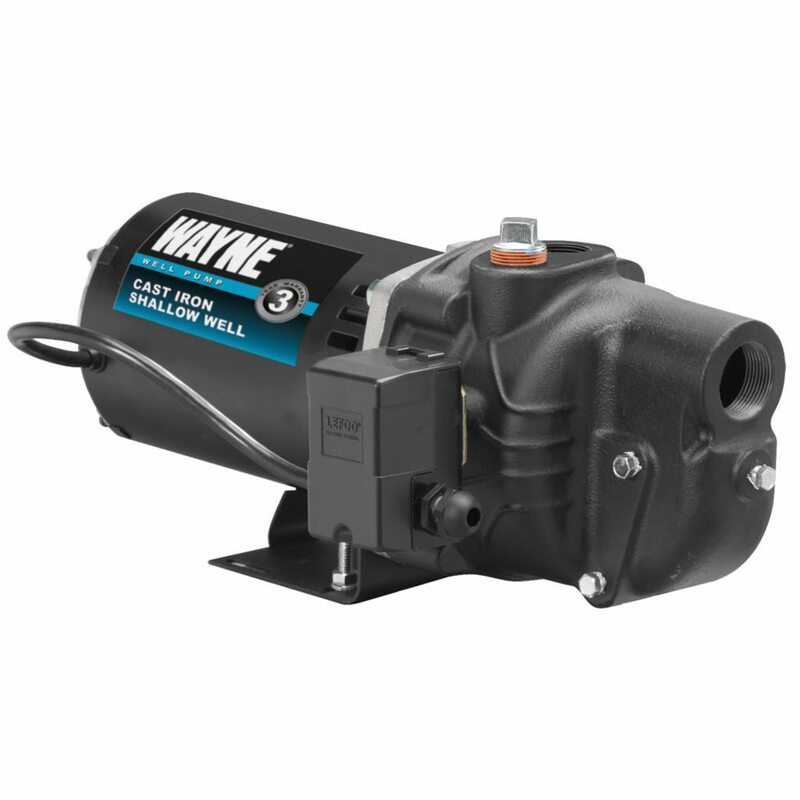 INSTALLATION TIPS: The shallow well jet pump should be bolted on level floor or mounted to the bracket on your tank. Connect all piping to the well, a shallow well jet pump will have one pipe running between the pump and the water supply. The foot valve at the end of the piping, will keep water in the pipe once the system has been primed. After the well pipes have been attached to the pump, connect the pipe between the pump discharge and the tank. To finish the installation process, connect the appropriate power source to the pump once all piping connections have been complete. To prime the pump, please follow the guidelines outlined in the instruction manual. 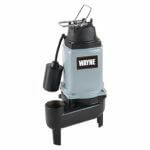 INSTALLATION TIPS: The convertible well jet pump should be bolted on level floor or mounted to the bracket on your tank. Connect all piping to the well, a convertible well jet pump will have one pipe running between the pump and the water supply (the suction pipe), and an additional pipe between the pump and ejector assembly (the drive pipe). The drive pipe helps the pump draw water from wells up to 90 ft. deep. The foot valve at the end of the piping, will keep water in the pipe once the system has been primed. After the well pipes have been attached to the pump, connect the pipe between the pump discharge and the tank. To finish the installation process, connect the appropriate power source to the pump once all piping connections have been complete. To prime the pump, please follow the guidelines outlined in the instruction manual. 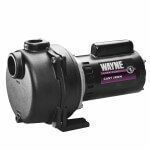 If you encounter issues during the installation process, please reach out to us on Facebook/Twitter @ WAYNEPumps, or email or customer service department at cs@waynepumps.com.